The healthcare industry is facing an existential crisis that could last for decades. Recruiting clinicians, technicians, and nurses is proving more difficult than ever before, and the situation is only going to get worse. Healthcare providers are finding recruiting increasingly difficult to find new talent as the skills shortage increases. According to the Center for Health Workforce Studies, jobs in the health care sector are projected to continue to grow sharply over the next 10 years (18.1%) and will continue to exceed growth numbers in the remainder of the economy (6.1%). As rapid a rate of growth as this is, it is slightly less than it was in the prior decade (20.5%). It is estimated that 3.5 million health care workers will be needed to fill new jobs and another 8.1 million health care workers will be needed to replace workers who leave the occupation or retire, or 11.6 million in total over the next ten-year period. Within the health care sector, home care and ambulatory care settings are projected to grow the most rapidly. The competition for top talent is therefore fiercer than ever, and health institutions are required to be more proactive in their recruiting efforts than ever before. This is perhaps one of the many reasons why more and more healthcare providers are turning to Recruitment Process Outsourcing (RPO). If you have an ongoing need for new healthcare professionals within your organization, leaving the process of finding them to an RPO specialist could be the answer. Not convinced? Here’s why Recruitment Process Outsourcing could be the answer to your staffing concerns. RPO firms take a proactive approach to talent acquisition. Rather than wait until you need the find the right people, recruiting specialists continually source potential candidates that comply with your organization’s requirements. Using regional and national pools of healthcare talent, recruiters can point you in the direction of suitable candidates the moment you ask for them. RPO firms often partner with professional bodies, healthcare providers, universities and online forums in order to identify talent on your behalf. Whether you’re recruiting or not, you have the peace of mind that comes from knowing there are qualified and motivated people waiting to join your organization. If you were to advertise for a nurse in the traditional way, the chances are you’d receive applications only from people who are actively searching for their next career move. By failing to target passive candidates, you could be missing out on the best people for the job. With RPO, however, you’re constantly reaching out to the people best suited to the position — not just those who spotted an ad on an online job board. By putting recruiting in the hands of a skilled RPO team of talent acquisition specialist, you can be sure that you’re leveraging the very latest technology — expanding your reach and identifying the candidates that most closely match your recruiting criteria. 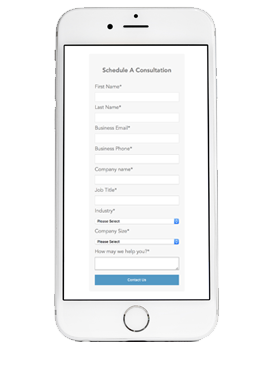 Utilizing recruiting tech streamlines the hiring process, reduces administration costs and speeds everything up. Healthcare professionals are using technology to find their dream roles with increasing frequency, so you should be doing the same. The healthcare industry is facing a chronic staffing shortage and finding the people with exactly the right set of skills, specialisms and experience is becoming increasingly difficult. In order to succeed, you need to explore every avenue of opportunity available. For example, an experienced RPO firm might have links to military personnel looking for a new career in civilian life. Outsourcing your healthcare recruitment gives you access to talent pools you wouldn’t otherwise know about. RPO providers don’t just recruit to fill current vacancies; they recruit to provide you with your own talent pool. Bright, young talent might be happy to come over to you now, but they will want to progress in the future. 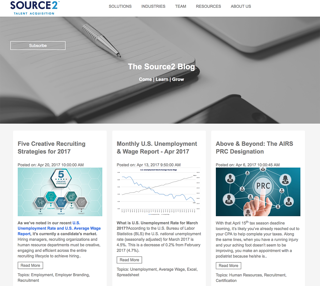 By sourcing the right talent today, you can plan your staffing structures well into the future. Promoting from within is usually a great way to run any business. But you have to have the right personnel in place to begin with. Succession planning is crucial to most healthcare organizations, as it reduces costs, improves patient experience and reduces administrative burdens. 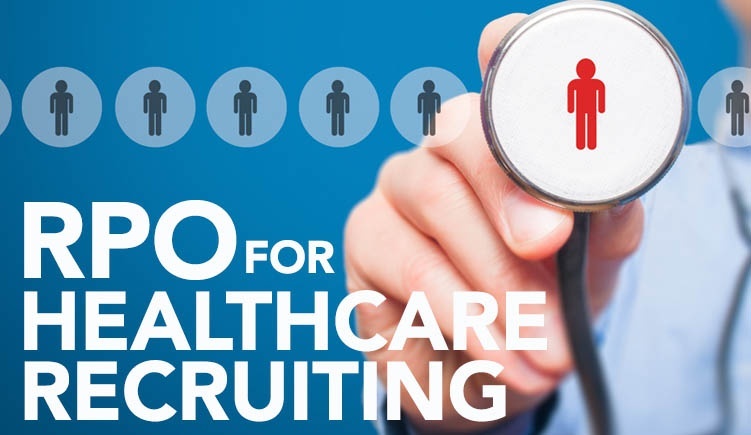 RPO firms understand the long-term staffing needs of their healthcare clients, and they recruit accordingly. Recruiting your healthcare workers with an RPO partner is cost-effective and straightforward. Leave the job of talent acquisition to recruitment professionals, and focus your time and energy on your other core business needs.